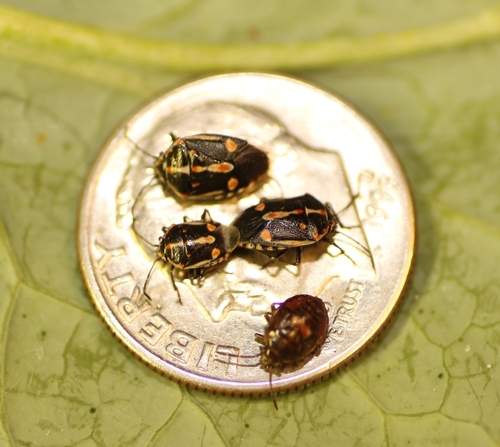 In the third week of September, nearly two weeks after they were first reported in Santa Barbara County, Bagrada bugs were found in the Arroyo Grande area in San Luis Obispo County. Organic growers are especially worried due to limited management options. Conventional growers are also concerned at the sudden appearance of overwhelming numbers of Bagrada bugs in some cases, but good control with insecticides such as dinotefuran has been reported. Adults can survive for nearly four months under optimal conditions. Since it is a new pest, we do not know its overwintering efficiency in Santa Barbara and San Luis Obispo Counties. Bagrada bugs overwinter as adults, but periods of winter in our area could be very cold for them. 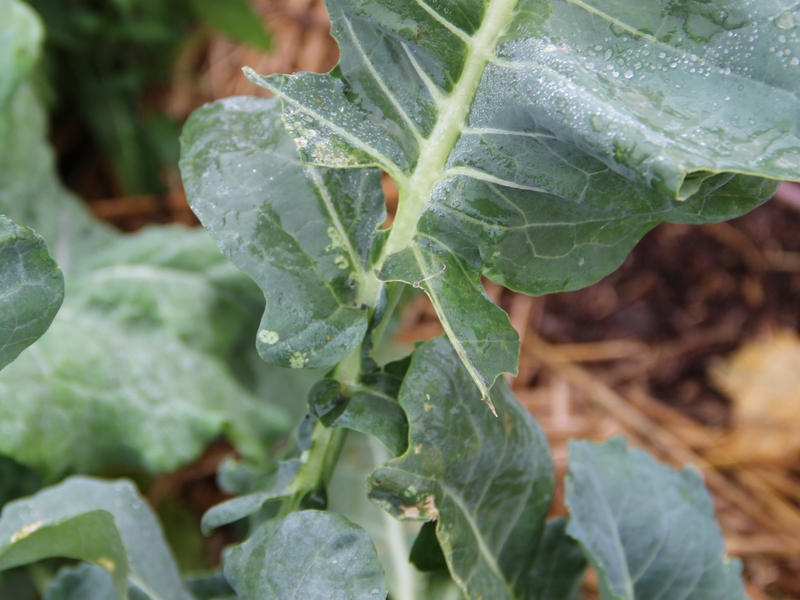 Although brassicas are known to be preferred hosts, they can feed on a variety of other hosts. 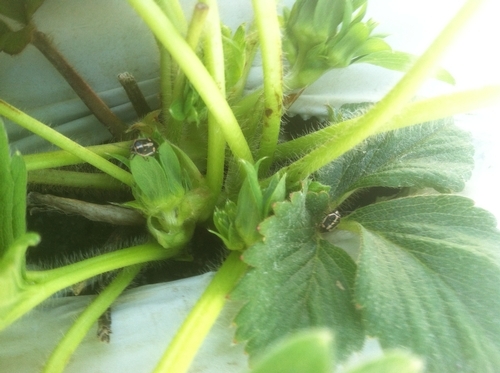 In Ventura County, they were reported on strawberries in large numbers, but it was not clear if they were feeding and causing damage to the crop. Because this pest is multiplying in large numbers and spreading around, they can be seen on atypical host plants in their way. If they happen to stay on these hosts for a long period, it is quite possible the bugs explore feeding on them. Bagrada bugs seem to be aggregating in weed hosts like wild mustard and alyssum even when crop plants such as broccoli and kale are nearby. So, using the wild hosts as trap crops can be a strategy as long as they do not serve as a source of infestation for crop plants. They seem to be responding well to synthetic pyrethroids, neonicotinoids, and organophosphate compounds. Since we do not know the future status of this pest, rotating chemicals with different modes of action is very important to minimize potential resistance problems. For organic growers, mechanical removal and use of pyrethrins and azadirachtin (for immature stages) seem to be available options at this moment. Azadirachtin is a natural growth regulator and should be used mainly against immature stages. Other organically approved materials do not seem to be effective based on available information. Careful monitoring, especially in sensitive areas such as those close to wild hosts, removal of wild or weed hosts, and rotating crops with non-host plants, can reduce the risk of infestation. New infestations can occur from infested nursery plants. So, care must be taken to prevent spread through the movement of plant material.